Item #0075: Learn how a "friendly" microorganism pays its way in your body. 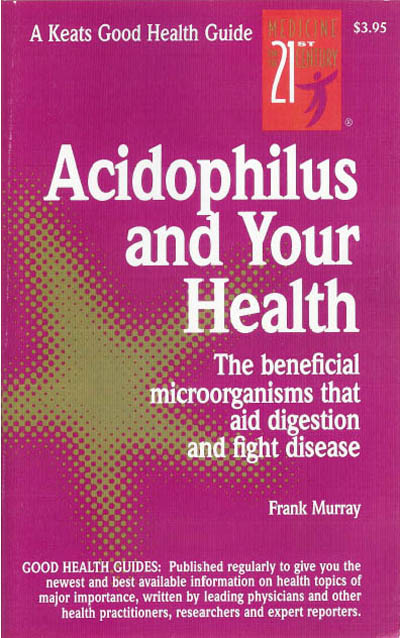 Acidophilus is a general name for a group of probiotics (beneficial micro-organisms) that aid digestion and fight disease. A number of medical, diet, and lifestyle factors are believed to disturb the balance in the colon. This imbalance is called dysbiosis. No longer kept in check, less healthy bacteria and yeast may flourish, which is thought to increase the likelihood of conditions such as infectious diarrhea and vaginal yeast infections. Once ingested, probiotics colonize the intestines and other parts of the body and can sustain themselves unless they are destroyed by antibiotics or other factors. 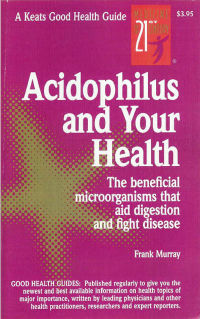 Learn more about acidophilus in this friendly little book.